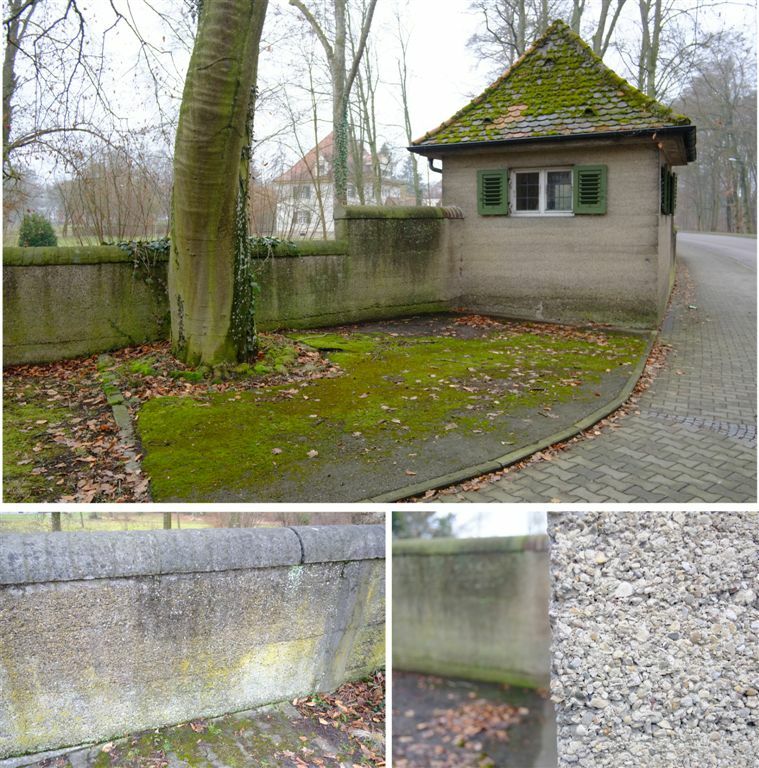 The former rose garden of Günzburg District Hospital has vanished. The victims of ‘Euthanasia’ have also ‘vanished’ from the hospital wards. They were ‘picked up’ ‘transferred’ ‘moved’ to ‘intermediate centres’ and then ‘picked up’ again on a final transport to their deaths. 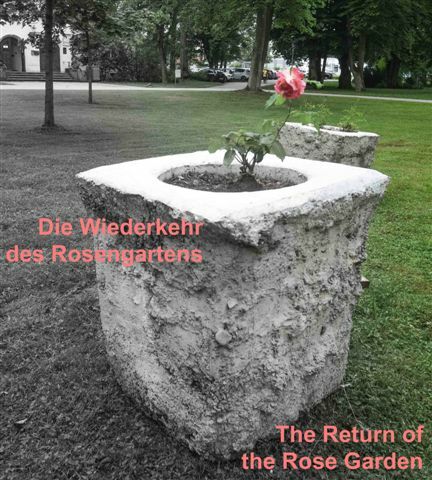 We are going to reconstruct the rose garden in a new form in memory of the 394 murdered patients. We wish to involve as many employees of the district hospital as possible in this process of remembering. 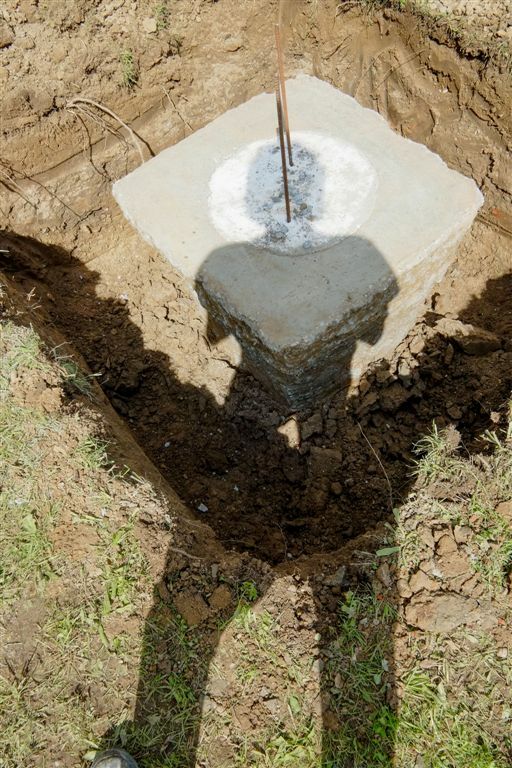 This means that we will –as far as possible – use material on site and uniquely work on site using simple steps in the process of reconstruction. Rammed cement was the material used to construct the walls of the hospital. None of the cubes will be identical as we are going to create the cubes’ moulds using the existing grounds of the hospital park. 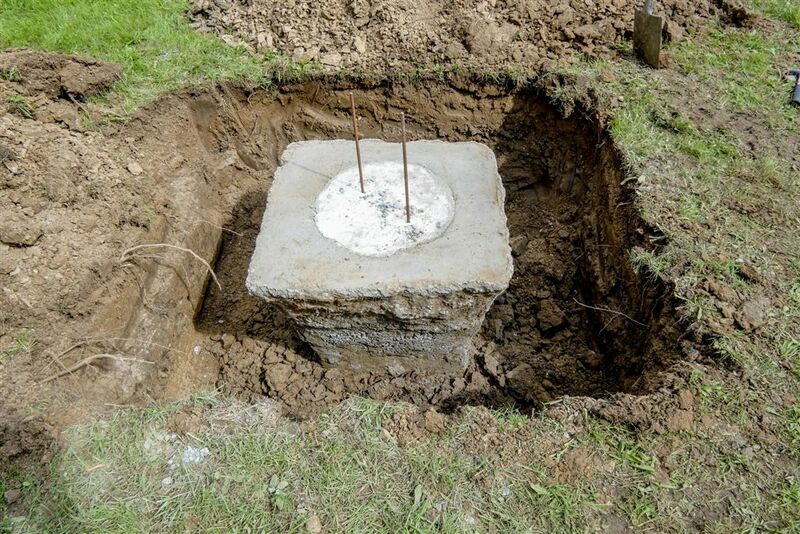 We will use the existing soil to design the shape of each of the moulds. We will gain the pebble gravel from the River Günz and the nearby River Danube. 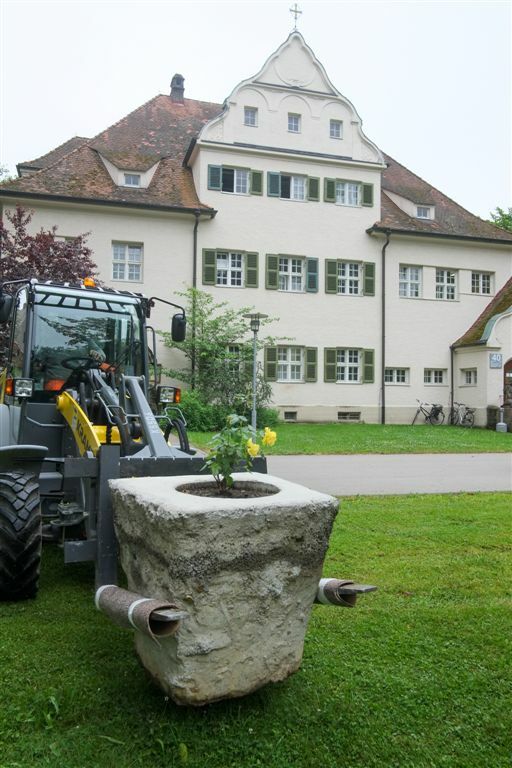 Each of the rose bushes can be moved with the help of a fork-lift and straps. 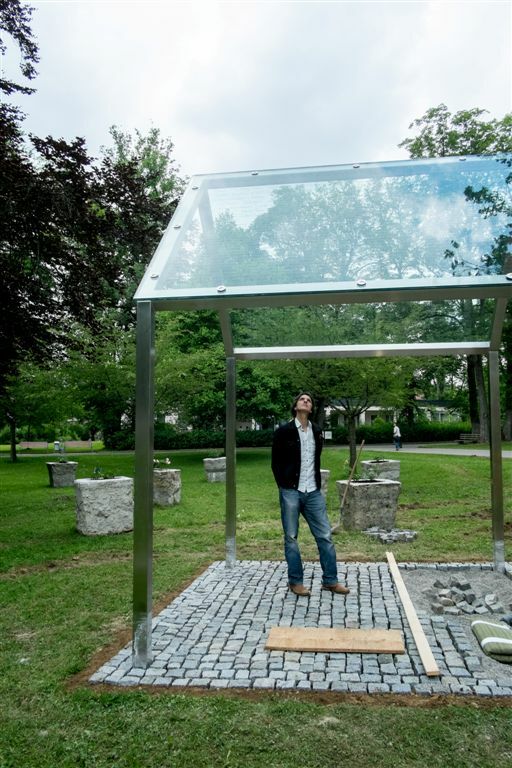 They will be placed in a circle around a rose pavilion. 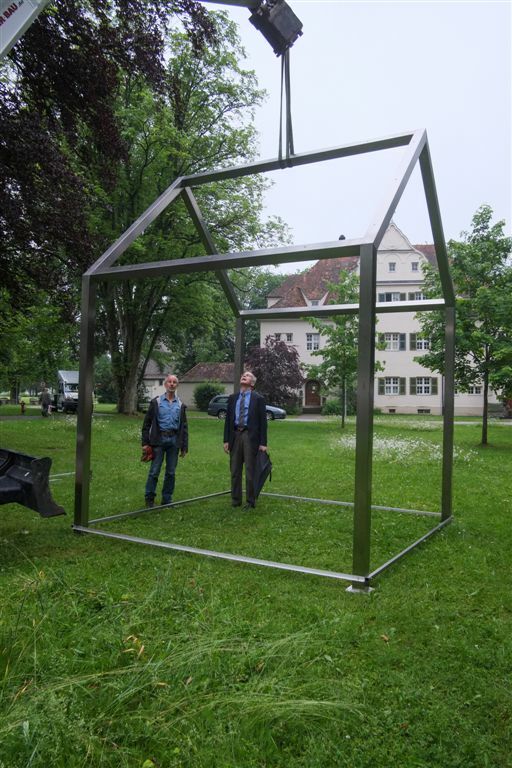 The pavilion will be a steel construction measuring approximately 3 x 3 metres and anchored on four corners. Two 24 millimetre thick security glass panes will be attached to the saddle roof of the steel structure. 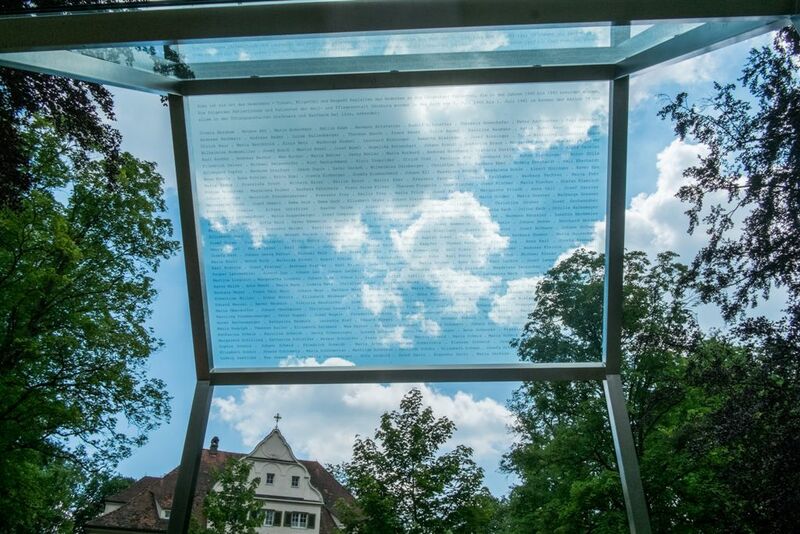 The names of the victims will be engraved on the glass panes. Several chairs will invite people to rest and read the names facing heaven. The pavilion and rose garden are also to function as a meeting place. 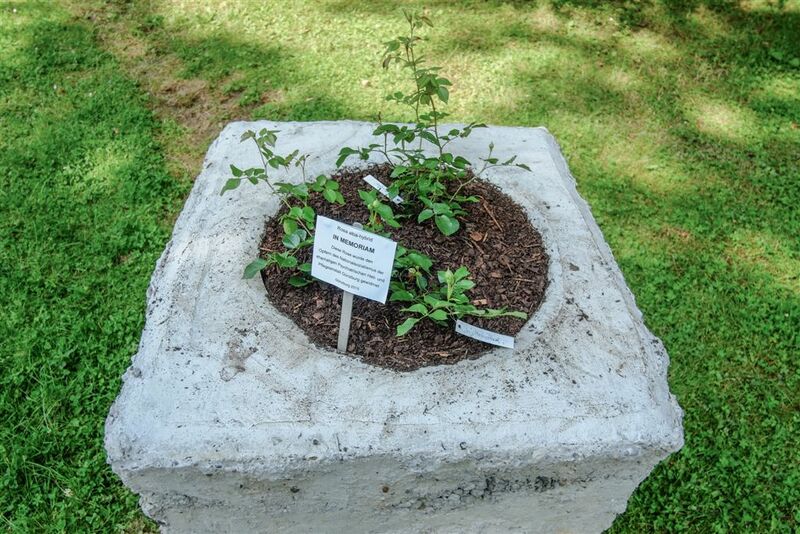 The return of the rose garden is intended to be a process of remembrance. In the first year twenty roses will encircle the memorial of names. Ten roses are to be added each year; the garden of remembrance will grow and grow. Memory changes and needs perpetual looking after. The historians and artists are gardeners of remembrance. We wish to involve as many employees of Günzburg District Hospital in our art work as a way of remembering the murdered. The murdered were aware of the rose garden of their hospital and they spent time there too. Our new rose garden is how we wish to remember them and this remembering should not only be an affair of the mind and of speech-giving but is to be permanently nurtured by gardeners’ hands. In Memoriam is to remember the victims with honour in a very clear manner. 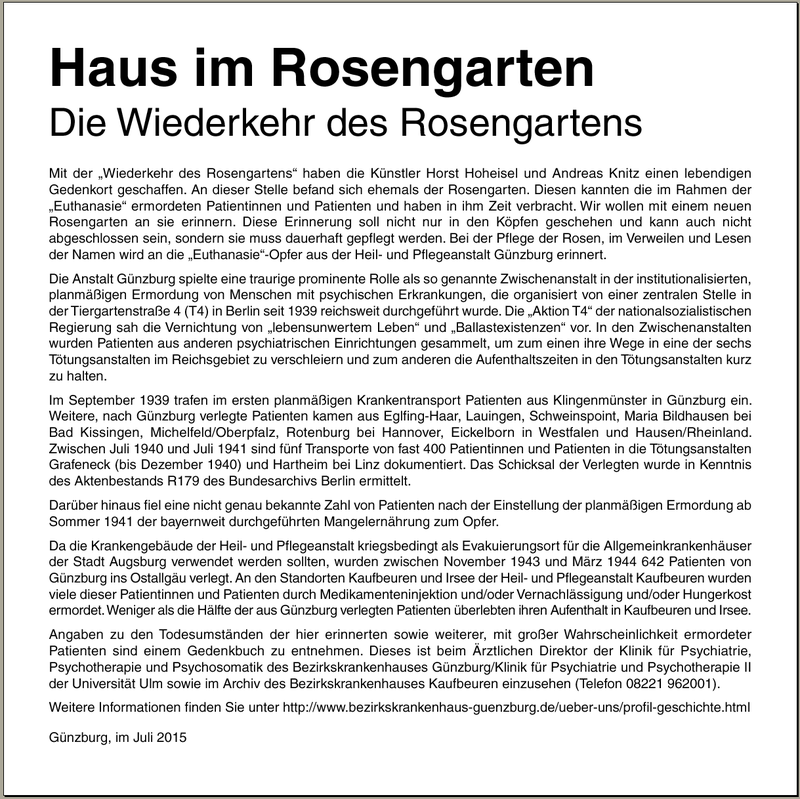 Our suggestion is to name a rose breed Günzburg’s Secret has a different intention. It stands for the secrecy surrounding Action T4 and also includes the perpetrators’ secret. 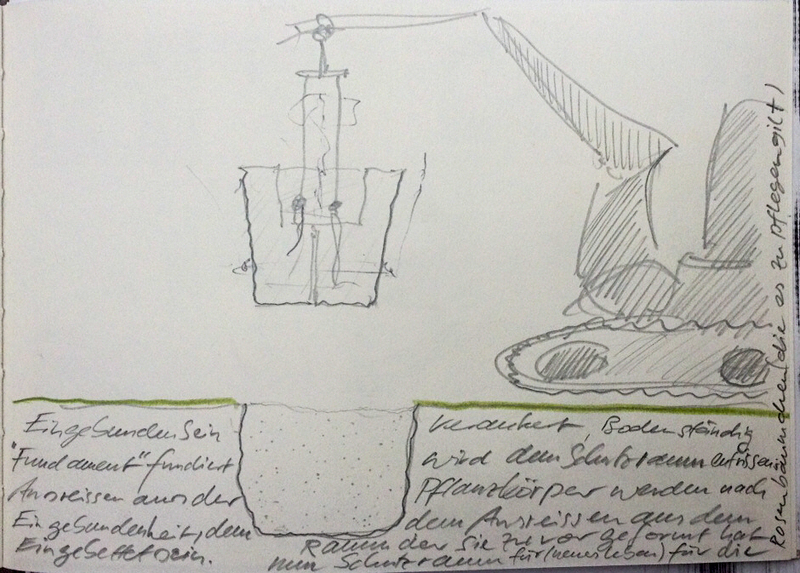 A rose names Günzburg Geheim links memory with beauty but also with something uncanny and inconceivable. The new rose breed In Memoriam has been planted by us since the beginning of 2015. 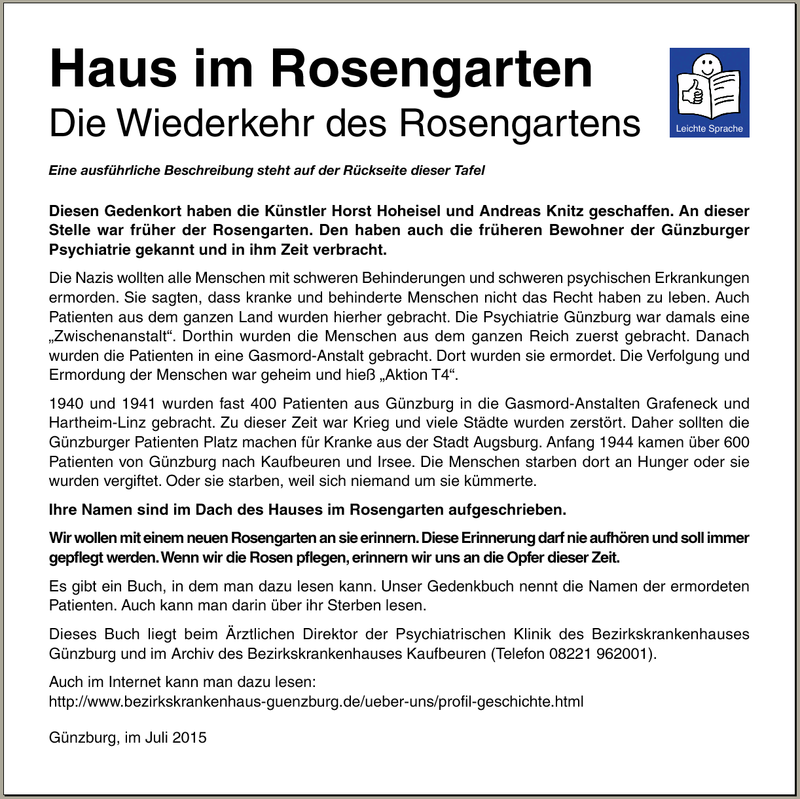 We have –as of yet – not found a rose breeder for Günzburg Geheim. 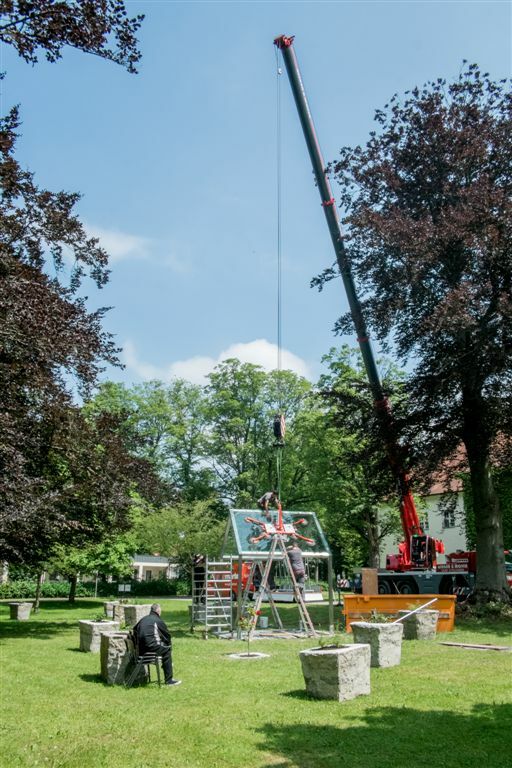 The completion of the memorial and the official inauguration will take place on Sunday, July 5th, 2015.